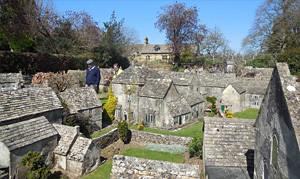 A miniature replica of Bourton-on-the-Water, built in local Cotswold stone. It includes scale models of the local shops, houses, cottages, blacksmiths, post office, parish church etc. all in one-ninth scale, planted with tiny trees and plants. Running through the model is a miniature of the River Windrush, complete with its little bridges, and a tiny working waterwheel. Facilities: hotel, bar, restaurant and shop. 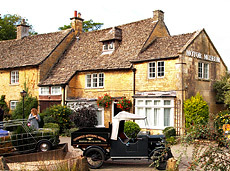 Located in the picturesque village of Bourton-on-the-Water and set in a group of lovely Cotswold stone cottages. The museum houses a small but very interesting collection of vintage cars, motoring paraphernalia and old fashioned toys from the 20th-c. Also home to TV's super car hero 'Brum'. A fun place for both children and parents to enjoy. Facilities: Educational area, children's play area, toy shop. 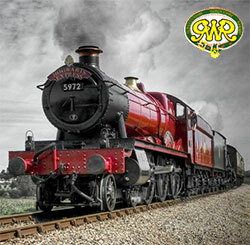 Heritage steam railway line that runs through the beautiful Forest of Dean. Facilities: parking, gift shop, museum, cafe, disabled facilities. A beautiful Georgian house, that was once the home of Edward Jenner, who is famous for discovering the origins of a vaccination against smallpox. The house and the gardens remain true to the original 18th century era and the internal museum displays records of Jenner's life as a humble country doctor. Facilities: parking, tea room, gift shop, disabled toilet. Part of the former Great Western Railway (GWR) mainline, passing though the beautiful Cotswold countryside, from Birmingham to Cheltenham. The line runs both stream and vintage diesel locomotives on a varied timetable. Opening times: Mar~Dec: selected days & times. Facilities: parking, refreshments, disabled facilities, well behaved dogs welcome. Interesting collection of restored antique mechanical musical instruments, musical boxes and other automata. Facilities: parking, shop, disabled facilities. Please note that the above information was accurate at the time this page was last updated. This information is subject to change at any time (opening times in particular), therefore if you plan on visiting any of the above attractions, please check the owner's website first or phone them for the latest details.